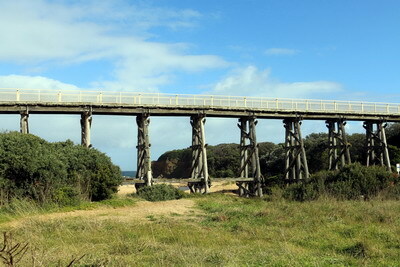 The Kilcunda Trestle Bridge is located approximately 117 kilometres south east of Melbourne in the beautiful seaside town of Kilcunda which runs on The Bass Highway about half way between Phillip Island and Wonthaggi. 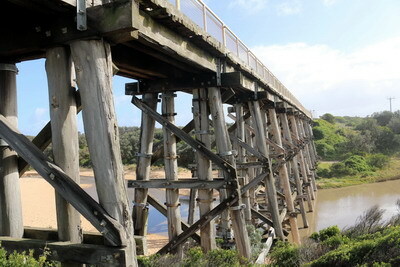 The Kilcunda Bridge was constructed in 1911 for the Victorian Railways as part of the Woolamai-Wonthaggi railway. .It is a single-track fifteen span all-timber railway bridge, with a total deck length of 91 metres and a maximum height of twelve metres. 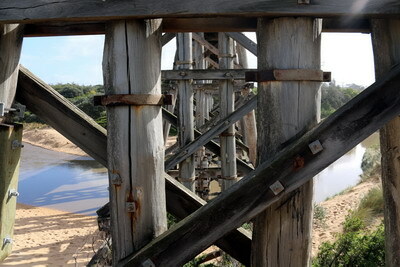 Kilcunda Bridge came into use with the opening to traffic of the permanent coal-fields railway in 1911. The line was closed in 1978. 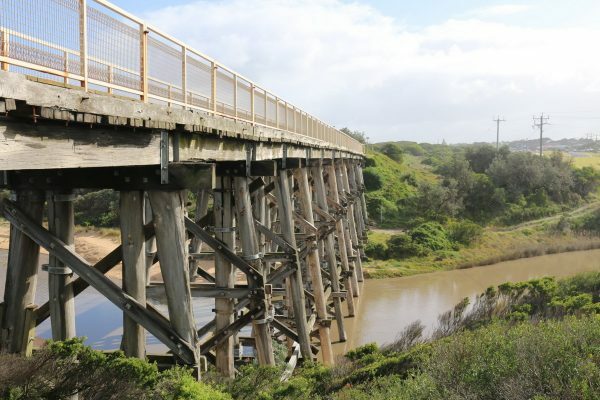 The bridge is now part of the Bass Coast Shire Rail Trail, opened in 2006. 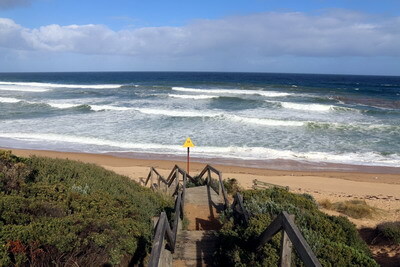 The track is now mainly used for walkers, riders and photographers.